Join us for Beauty Tips with Megan! We come together the third Thursday of each month and spend time with the girls at Carolina's Youth Developmental Center. To RSVP for this workshop, please follow the link below! Questions? 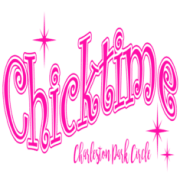 Contact us at parkcircle@chicktime.com today! Visit us online at chicktime.com/charleston-park-circle today!